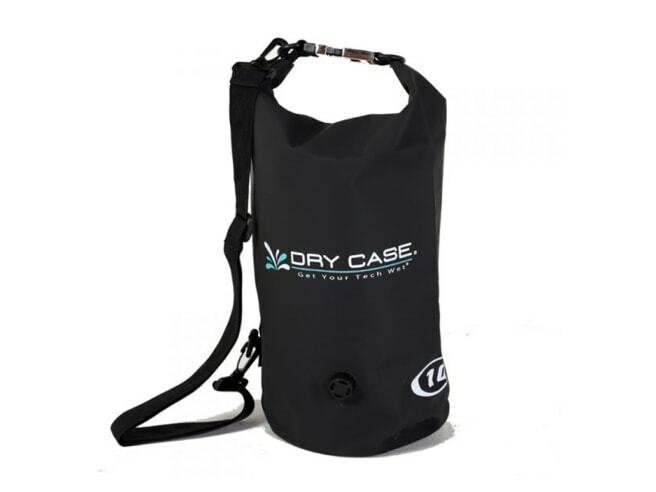 The DryCase Deca Dry Bag is a perfect do-all bag for outdoor and watersports. With a 100% watertight construction, this bag can act as a flotation device, portable cooler, or even as an outdoor shower. With the ability to be compressed, this bag rolls up and stows easily, making it a perfect outdoor companion. It also features a bottle opener, marine-grade waterproof vinyl, and single shoulder strap. Make DryCase your dry bag for all occasions.